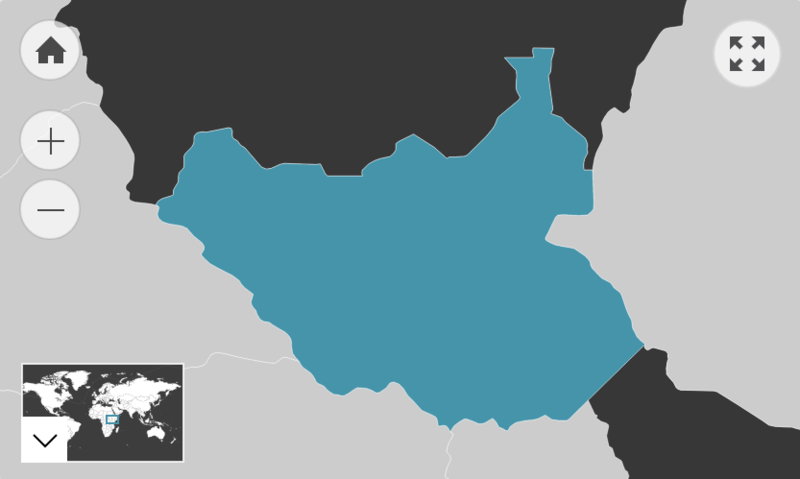 South Sudan does not have an official religion and estimates on the numbers of followers of various faiths are unavailable. However, the majority of the South Sudanese population follows Christianity, often intermingled with traditional cultural practices. The Catholic and Anglican churches are most popular. A further portion of the rural population follows traditional African animist beliefs. There are also small groups of South Sudanese Muslims that mostly live in urban areas. They tend to follow a less conservative interpretation of Islam than the Sudanese in the North. Religion is generally spoken about openly and frequently in South Sudan. People are often very religiously engaged, both young and old. Meanwhile, the idea of atheism or agnosticism is unusual to most of the population. South Sudanese locals will often associate white foreigners with Christianity before considering that they may be irreligious. Historically, Christians and animists share a good and respectful relationship. While ancestor and spirit worship have been generally discouraged, many South Sudanese mix some of their tribe’s traditional practices with Christianity. However, considering the religious antagonism between the South Sudanese and the Muslims of (North) Sudan, people may find proselytising Islam to be offensive. Some South Sudanese are more open to conversion than others, often depending on their tribal or ethnic background. For example, some South Sudanese who are members of Nilotic tribes (such as the Dinka, Nuer and Shilluk) are less receptive to Islamic conversion. Their tribal traditions and structures tend to be particularly strong, making them less susceptible to outside influence. Furthermore, their prior experience with slavery and colonialism has left a general suspicion of foreign systems and ideas. According to the 2011 census, the majority of South Sudanese in Australia are Christian; 42.7% identified as Catholic, 35.1% identified as Anglican, 6.8% identified with Presbyterian and Reformed Churches, and 2.8% identified as Baptist. A further 12.6% identified with some other faith, including possible variations of Christianity. Christianity was introduced to Sudan through European missionary programs throughout East Africa. Catholic missionaries arrived first in 1842, and were followed by members of the Anglican and Presbyterian Churches roughly 50 years later. One can usually tell if a community is Christian by the presence of a church in the central area. The South Sudanese practice of Christianity can differ from the typical Western tradition in a few ways. People generally attend church services more frequently – up to three times a week as opposed to once every Sunday. Worship often involves singing and dancing in local languages. Many South Sudanese Christian churches also facilitate a unique practice called ‘overnight’ whereby people go to a church service for 24 hours or more at a time. Sometimes this prayer session can last for days, with people sleeping and fasting in the church. Some see it as a cathartic experience in which people get closer to God to the point of euphoria, shouting and dancing. It is a South Sudanese Christmas tradition for people to sing hymns in a procession down the road on Christmas Eve, followed by an overnight service in the local church. Christian groups from neighbouring countries have also started offering outdoor sermons and prayer services in less developed communities. Before independence, the predominant Christian population in southern Sudan viewed their religion as a symbol of defiance against Khartoum’s vision of an Islamic state. Today, Christianity continues to represent the pan-southern identity shared by the South Sudanese people. It is considered to be the binding factor that brings everyone together across ethnic and tribal backgrounds. Christianity continues to play a very strong role in providing a coping strategy for many South Sudanese. For those living in South Sudan, placing faith and their fate in God often serves as a source of hope for the future. Christian churches often provide emotional and material support for refugees that have recently migrated to other countries. They also represent a pivotal place for encouraging cross-community engagement, providing an open space for old and young generations to communicate with each other. For example, it often gives parents the opportunity to connect with their children in a context detached from one’s home life. Traditionally, the South Sudanese had a strong belief in the spiritual and supernatural realm. This has diminished significantly since the introduction of Christianity, but continues to be followed by some groups. One cannot make generalisations about the animist belief systems of South Sudan as they vary distinctly between tribes and communities. However, the power of the dead and the ability of ancestors to intervene in people’s lives is a common theme. Many animists recognise an ever-present creator that oversees all living beings. However, these beliefs vary significantly between tribes. Each group may have a different god(s) that has a particular relationship and degree of intervention with humans that is specific to that tribe alone. For example, the traditional Dinka god is called ‘Nhialac’. It is a universal creator and source of life that they can contact through spiritual mediums and rituals. Meanwhile, the Nuer animists have a conditional relationship with the god ‘Kuoth’, whereby an individual can get cut out of the community and spiritually rejected by Kuoth if they do something wrong. Each god is also contacted in a certain way. There are often certain people within communities that are seen to be intermediaries between the tribe and the spiritual realm, usually chiefs or elders. For example, animists from the Jur tribe communicate with their god ‘Boko’ba’ through their ancestors, while Murle animists use chiefs as intermediaries between the community and ‘Tammu’ (God). There tend to be many beliefs surrounding the causes of misfortune. Some may believe that bad luck or illness is caused by malevolent ‘zar’ (spirits) possessing a person, ancestors that have been offended seeking vengeance, or witches within members of the community. There is also widespread belief in the ‘evil eye’ whereby a person with supernatural powers can curse another just by looking at them. The Dinka name for spiritual powers is ‘jak’. Practices relating to animist beliefs often involve offerings made to spirits, ancestors or gods. For example, it is common to sacrifice animals and crops during harvest. Uses of magic, totems and traditional medicines are also often interrelated with everyday life for animist communities.